There was a time you could tell when school was starting by the school supply aisles at the big box stores. They looked like the aftermath of a tornado—shell-shocked parents, binders strewn across floors, backpacks upended, and pencils driven straight through the display of crayons and markers. But now the school supply shelves are neat. There is no whirlwind rush for supplies, because there is no single “back-to-school” date. School start dates are all over the calendar, leap-frogging earlier and earlier into August and some jumping all the way into July. They say they’re balancing the calendar but I never knew the calendar was out of balance. Did July try to crowd in between January and February? Did the months ending in “er” suddenly rise up and demand Spring placement? I appreciate that kids may forget much of what they learned during summer vacation. 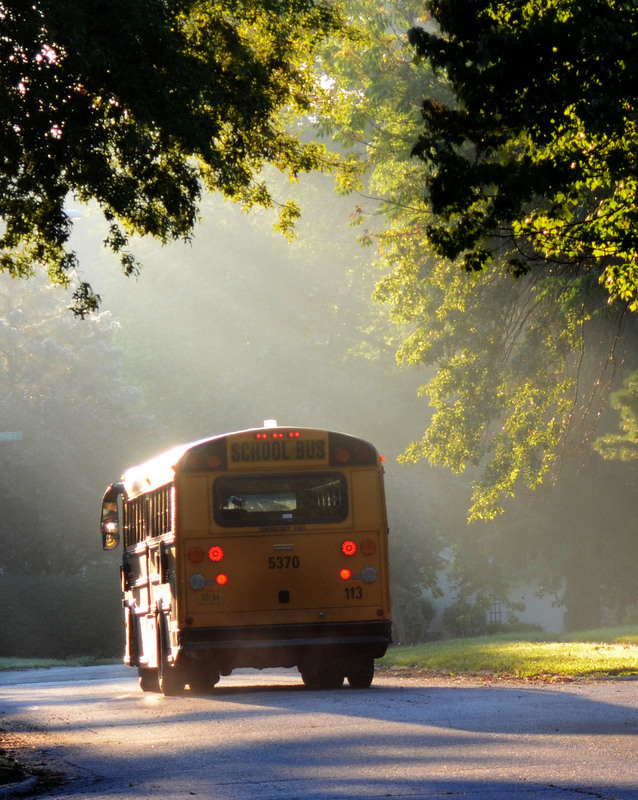 The theory is that if schools shorten summer vacation, kids will retain more. Plus, they’ll get a one-week fall vacation, a one-week Thanksgiving vacation followed a by two-week vacation over the winter holidays and another week-long vacation in the spring. I thought vacation time was the problem. I’d like to go on record as an advocate for unbalancing the calendar. Yes, I’d like to propose school start dates should be pushed back to September in order to accommodate the lazy days of summer. Who says summer isn’t educational? I support extending summer so kids can enjoy good nutrition—stand next to a tomato plant, smell the vines, pluck cherry tomatoes in rapid succession and pop them directly into their mouths. I favor extending summer so students can learn math by charting the proliferation and distribution of zucchini, discovering how one small plant can feed the entire state of Wisconsin. I support extending summer so every child can have the full sensory experience of sweet corn – smelling the husks, pulling back the silks, feeling butter grease their hands and run down their arms as the scorching August sun turns the grass to a dry, brittle brown. Not true, my unbalanced calendar also puts a premium on boredom. The last few weeks of August should be reserved for stretching time, sitting outside in the evening, feeling the heat evaporate from the earth, watching the sun dip low, listening to crickets, learning the art of dawdling and the sheer pleasure of nothingness. Everyone should experience a season of boredom. It’s how you discover what you enjoy. I also stand by the unbalanced calendar plan as an economic stimulus package. Freeing August from the grips of school calendars allows time for more family road trips, which generates monies for tourism as well as additional paychecks for restaurant workers, hotel workers and lifeguards. Unbalance the calendar and we’ll have that federal debt paid down in no time. Or not. I’ve made my case. Now, like every politician, I conclude my argument with that old reliable tug at the heart: Do it for the children.